Tree decline may be caused by many factors, such as pest infestation, disease, mechanical damages &/or soil compaction in the root zone area. Pest and disease issues are generally treatable above ground, however, soil compaction and mechanical damage to tree roots require inspection and treatment below ground. Excavation is necessary in order to inspect and repair any damages below ground, which usually involves digging with shovels or other equipment such as a backhoe. Digging with common tools such as these will result in broken &/or severed roots, which cause major damage to the health of your tree. 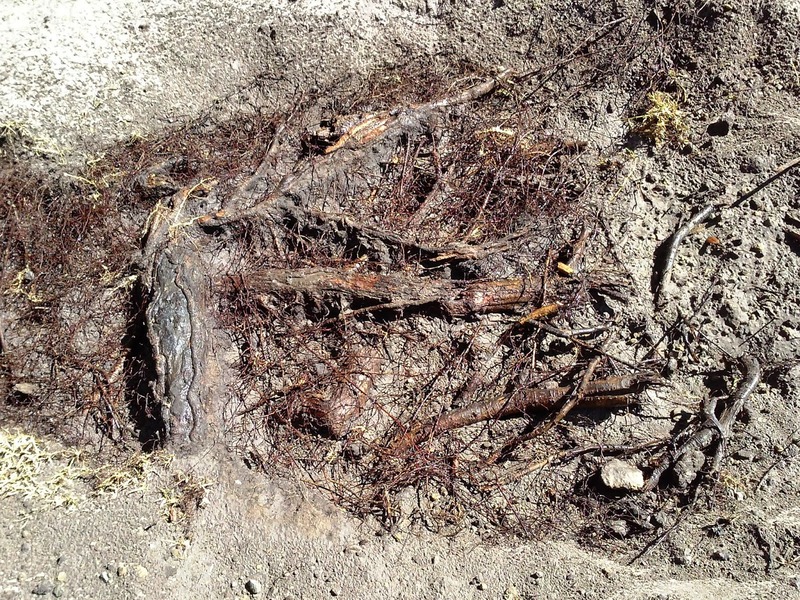 So, how can we excavate and uncover the roots without damaging them? The answer is to use the Air Spade tool. How does it work? As the name implies, the Air Spade uses air, under high pressure, to blast the soil away and expose the roots of the tree. Pressurized air does NOT harm even the smallest of tree roots! With this tool, we are able to excavate small, specific areas or “till” all of the soil around a tree to any radius required (much like tilling a garden). Also, we must understand that the majority of a trees “feeder roots” are very small. Many of them are smaller than your pinky finger! With roots that small, it is easy to understand how easily they can be damaged while digging with common hand tools and especially by using heavy equipment. 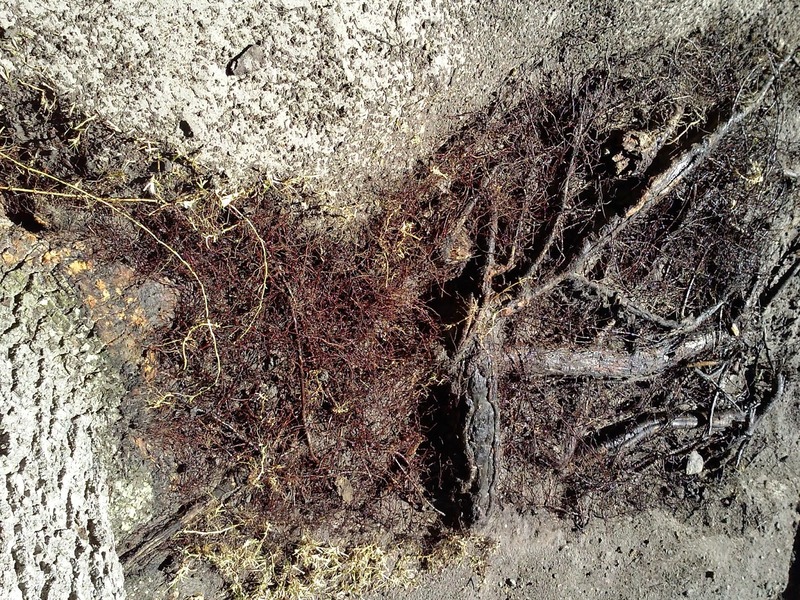 If roots have been damaged or severed, or the soil has been compacted, the essential elements may not be getting to the roots at all. This causes the entire tree to suffer! The soil must be loose and able to allow air and water exchange, allow nutrients to leach down and also allow the roots to expand through the soil as they grow. The Air Spade can loosen the soil and expose the roots without damage. 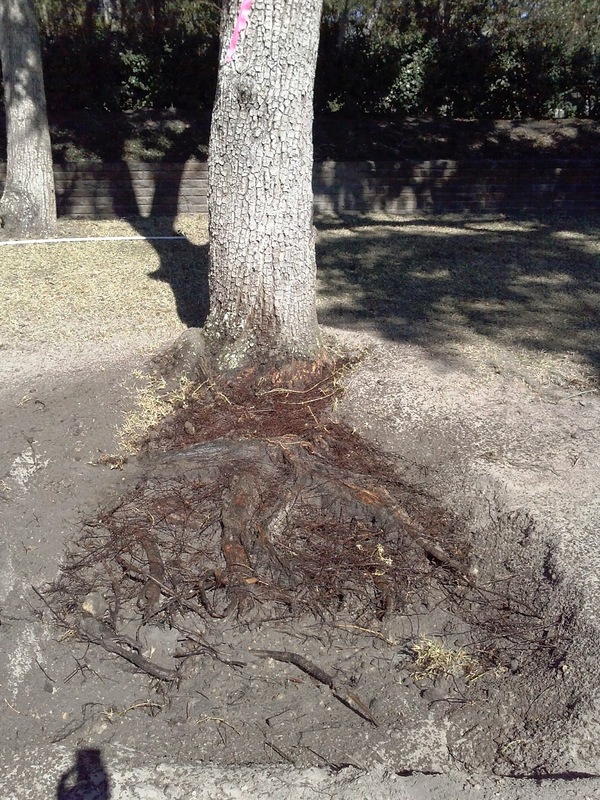 We are able to blow the soil away and inspect the roots and find where problem roots are located for repair. We can also till the roots zone area to loosen the soil for air/water exchange, then amend the soil with rich, organic soil. By improving the soil texture, the roots begin to thrive, instead of just survive! The roots can more easily obtain and absorb nutrients in soils that are rich in organic matter. Helping to keep your trees as healthy as possible is the main focus for Tree Medics. We have Certified Arborists on staff that specialize in tree health care. Call Tree Medics today to schedule a free inspection and evaluation of your trees. Find out how you may be able to save your trees for our next generation to enjoy!